Hotel Dynastic Benidorm is situated in the residential area of Sierra Helada, just steps from the resort’s popular Levante Beach. The hotel comprises 206 rooms divided into categories to best suit your travel party, each of which are complete with comfortable and quality amenities. 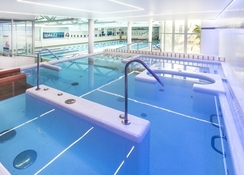 Facilities at Hotel Dynastic include an in-house spa providing a selection of traditional eastern massages, a gym, two outdoor swimming pools, a heated indoor pool, a mini club and recreational area – to ensure entertainment is available for all guests. The dining scene includes the main Buffet Restaurant, which serves fresh International cuisine and features themed nights to indulge in, while the Piano Sports Bar and Pool Bar offers a laid-back vibe with refreshments available. There’s plenty to discover outside the hotel, with famous open-air markets a short walk away, plus watersports and beach activities just 600m from the hotel. 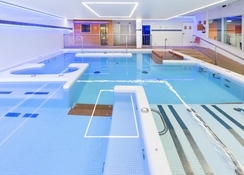 Hotel Dynastic Benidorm is located in Avenida Ametlla de Mar, Benidorm, Spain. There are numerous places of interest, beaches, water parks and museums near the hotel, including Benidorm Palace (1.9km), Punta de Cavall Tower (1.6km), Sierra Helada Natural Park (7km) and many more. The Alicante Airport is the closest airport, it is 59.3km away. The hotel’s rooms are the best place for ultimate relaxation and comfort. The room types include Classic Double Room, Superior Room, Family Room and Superior Premium Room. Premium rooms comprise numerous amenities, including Free Wi-Fi, Hair dryer, Satellite LED TV, Mini-bar, Safe deposit box, Telephone, Air conditioning, PlayStation, Kettle, Viscoelastic mattress, Bathrobe, Luxury toiletries and Welcome pack. The hotel serves food and beverage on an all inclusive basis, with an International menu to choose from. The Buffet Restaurant caters for breakfast, lunch and dinner, or there is the Piano Sports Bar and Pool Bar open for refreshments and snacks. Equally, you can take advantage of the in-room dining and drinking service without leaving the comfort of your hotel room. The hotel is the best place to stay for the health conscious travelers, as there is a fully-fledged spa with expert masseurs, where you can get yourself pampered. Other than this, there is a high-tech fitness center that comprises all the body training facilities and weights. When it comes to fun and entertainment the hotel offers arts, games and crafts, this will enable you and yours have a wonderful time. 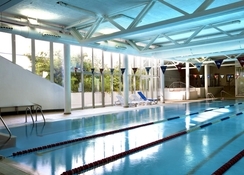 Last but not the least to describe is the swimming pool that is temperature-controlled, it is open from 10;00 to 17:00. The hotel reserves the right to cancel all bookings under these conditions. Teletextholidays will not be liable for any flight costs or charges as a result of cancelled bookings. Excellent food excellent staff nice and clean with homemade rice pudding. British well catered for. Great hotel with excerlent staff made you feel welcome and very helpful. We had a good holiday at this hotel. Basic room even though upgraded. Food ok. Happy overall. We would go back. Pool was in the shade and very small. Rooms were adequate. cleaned every day. Comunial toilets are clean. Restaurant. A lovely selection of dishes to choose from. Staff were not very friendly. Spa was amazing definatly worth visiting. Not bad hotel, food good, hotel staff ok, probably not ideal rooms for families though. 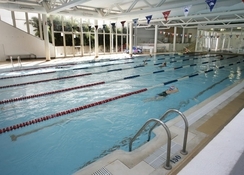 Good pools and activities for the hotel guests. 2nd time there but won't be going again. Public bar area very poor. Limited seating with hardly any views of so called entertainment. Won't serve you a decent coffee from the proper coffee machine even when on all inclusive. Full of drunks.